You are here: Home / Internet / Which Is The Best Search Engine? Few months back I have posted an article on Top 50 Search Engines.But we all know the Top 3 search engines currently are Google ,Yahoo & Bing.Many are trying some search experiments to find out the efficiency of each search engine.Today i came across a site www.blindsearch.fejus.com which displays the search results of three search engines in parallel. In What Way Blindsearch Useful? 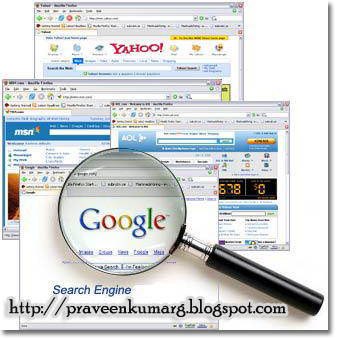 Get all 3 search engine Google ,Yahoo & Bing results in a single page. Improve Blog or Website with the search results. Mostly Bing gives poor result compared to Google and yahoo as it was newly started. Click here to know How To Submit Website Or Blog RSS Feeds To Bing.